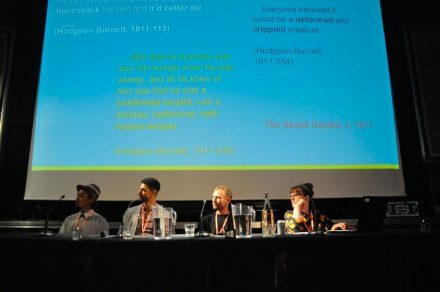 Home » Blogs » Events » CMC 2018 » Blogs » Report – Accessibility – What’s Next? Report – Accessibility – What’s Next? Provision of access to impaired audiences should be considered from inception, and not as a bolt-on after production. Making content alongside creative and dynamic captioning, subtitling and audio description an interactive process with added agency given to performer. Bringing something new to the table for audiences whilst reflecting their individual needs. In today’s media landscape, there is a growing demand to demonstrate a better understanding of diversity and inclusivity. This has meant producers are constantly striving to create imaginative yet informative content, whilst also trying to provide a more accurate representation of their contemporary audiences. Additionally, Nathan has been working alongside fellow panellist Joe Catchpole on ways to integrate typical captioning with an aspect of interactivity making it truly accessible to impaired audiences, but also enjoyable for all. Using Microsoft Kinect, Joe showcased several videos that show the possibilities of dynamic captioning as a way of interpretation as well as being incredibly cost effective for the live environment. Whilst Rebecca Atkinson comes from a broad background in TV and online and print journalism, she states that she also has an unusual vantage point as she was born partially deaf and is now also visually impaired. As the common thread in her work has always pivoted around disability and representation especially within media industries, she highlights that there are currently approximately 150 million children living with some form of disability, and that for many content producers and creators this is often alien territory for them. As the director of Toy Like Me, she began to investigate how little variation and representation there was in the toy box, and how the few examples were poor stereotypes lacking in empowerment. Integrating disability with creativity and linking with well-known characters (such as when the image of Tinkerbell with a pink cochlear implant that went viral) meant these toys began to resonate with parents and children alike. Through inventing a new brand that is shown to explore disability in a fun and playful way, Toy Like Me acts as a way of navigating the complexities of growing up as a child living with and in the disabled world.